Todays post is a little different than usual. I can't remember if I blogged or just tweeted about it, but I won a Beauty UK competition on Facebook for 3 of their new pearl eyeliners! I seriously never win anything, the last time I won a competition was whan I was about 6 and I won a My Little Pony. For this comp you had to tell them what your festival beauty tips were, and I said something about dark nail varnish so you can't tell if your fingernails are grubby. Yukky, but needs must. Anyway, my new eyeliners came this morning and I couldn't wait to try them. 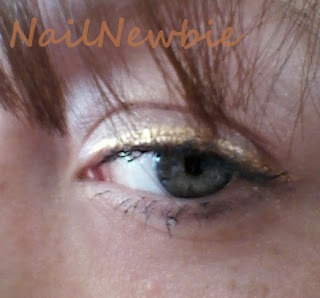 Here's the eyeliner, over a sheer MUA eyeshadow that I also use as highlighter. The mascara I'm using is Collection 2000 Big Fake False Lash Effect, and I love it. 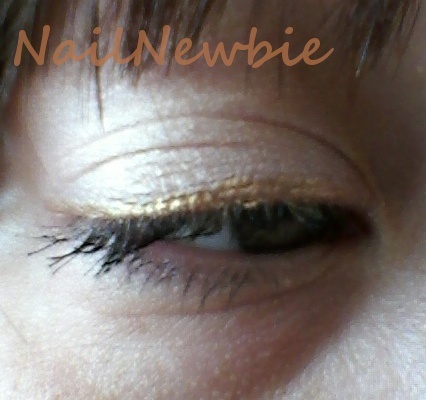 It gives good length and volume without those annoying fibres that irritate my eyes. Yes I have wrinkles and bags under my eyes. I'm old and I have 2 young kids. Then onto the nails. 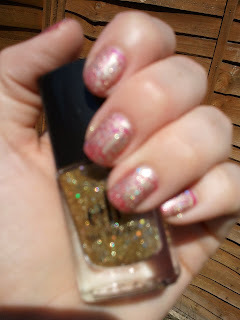 I added 2 coats of ELF Golden Goddess on top of yesterdays gold crackle and pink. Golden Goddess is a clear base with tiny gold glitter and hex golden holo glitter. 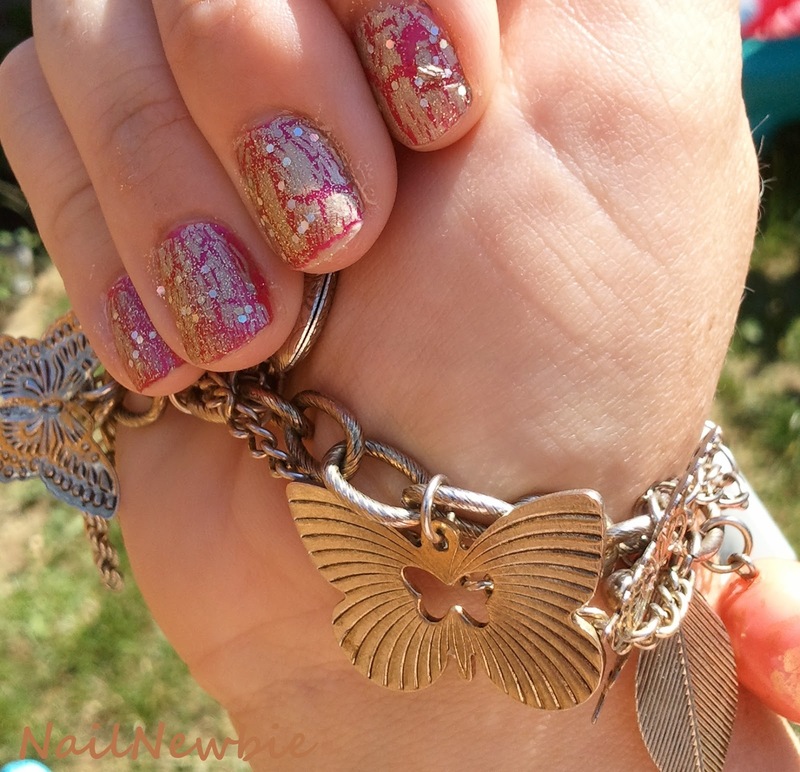 Matched my bracelets in gold and corally-orange. 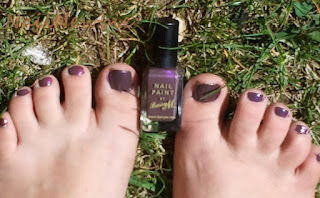 And then I ruined it all by painting my toenails in Barry M Dusky Mauve haha! Specially loving the nails. And bangles and stuff. 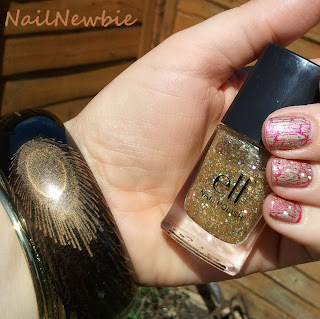 I'm liking the glitter over holo here!